Giving your customers your address and directions on how to get there is just one step in the process of helping them find your business. 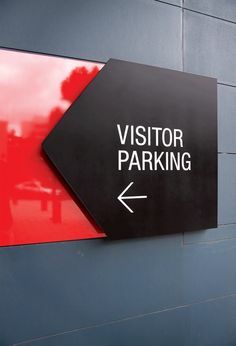 They will need to know where they are supposed to park, enter, and how to get to the right suite or office once they get there. If you are in a large medical facility or office complex this is especially true. Thankfully, Citrus Sign Studio has wayfinding signs for Orlando. 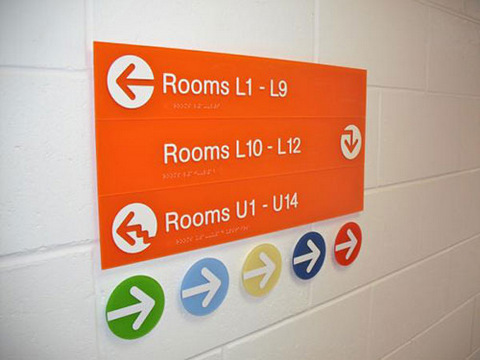 Most people think of standard plastic signs or metal plaques when they think of directional or wayfinding signs. For many areas, these types of markers are encouraged by property management firms and building owners, and we are more than happy to provide you with these. But, customization is much better for building your brand and brightening up your facility. 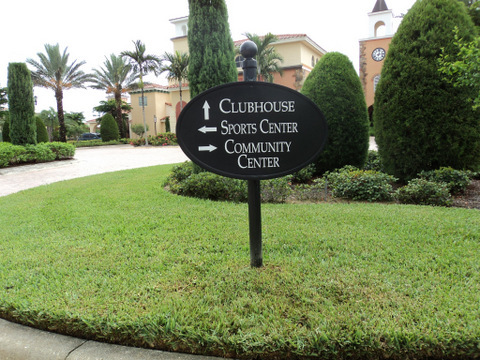 If you have a property with multiple buildings, simple arrow and name directories will help show visitors where to go. These signs are inexpensive to make and install. Plus, they are designed to fit in with your existing landscape. You may just have one building with multiple entrances. 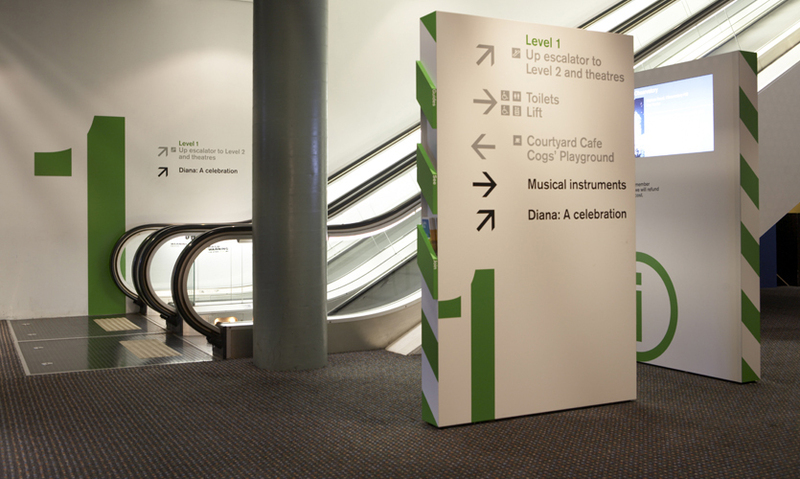 Wayfinding signs can point the way to where people there for different purposes should go. In most instances, you are required to show patrons with disabilities where they can enter. This can be done with Americans with Disabilities Act (ADA) compliant markers. 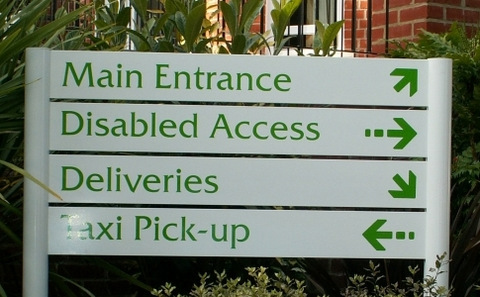 Custom wayfinding signs are the way to go to provide the most accurate directions to visitors to your building. For instance, look at the above marker. With just a quick glance, anyone can tell that to get to Rooms U1 through U14, they need to go to the left and up some stairs. This level of detail simply is not available with the standard fare. Without the appropriate signage, malls can be a frustrating place to frequent. 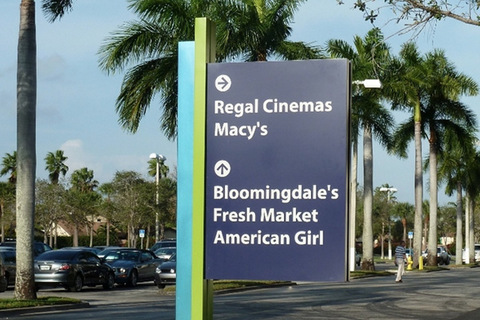 Directional signs will help shoppers locate parking spots that are closest to the stores they want to visit. In large buildings, it is easy to get turned around. This is especially true in museums and art galleries where you are going from one floor to another looking at exhibits. You are not thinking about where you are located. 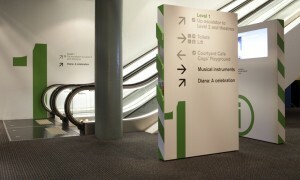 To help visitors find their way, large, eye catching signage like that found above must be used. No matter what industry you are in, we can take care of every step of the sign making process from permitting and design to fabrication and installation. For a free consultation and quote, contact Citrus Sign Studio today!